All of our prices quoted are per house and include up to 5 people and a travel cot. No, all of Dingle Marina Cottages are supplied with duvets and all bed linen and a set of towels per person. If you plan on visiting the many beaches in the area we suggest you bring towels of your own. Guests will need to bring bed linen for travel cots, if requested. All of our holiday homes provide fully equipped kitchens which include microwaves and dishwashers. Also included are washing machine and dryers. All homes have TV’s in the living rooms and have free Wi-Fi throughout each house. A travel cot can be pre booked at no extra charge and a highchair is provided in each house. Yes we have free onsite parking at Dingle Marina Cottages. Is there an additional charge for electricity/gas/oil? No, our rental cost includes all of this. 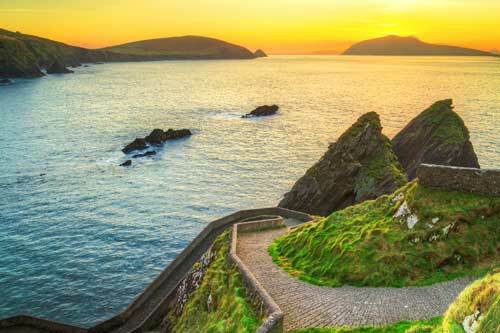 Dingle is one of the most sought after destinations for holiday makers. Please visit our Rainy Day activity page or our Dingle page for an extensive list of things to do and local facilities. Check in time is from 5pm but you are welcome to call us in advance of your arrival to check if your house is available earlier.  Please check in and collect your keys at the reception of the Dingle Skellig Hotel which is a short 4 min drive from the holiday homes. Yes, during off peak season our holiday homes are available to rent for shorter stays. During the Summer months our houses are let on a minimum of a weekly basis only. Dingle Marina Cottages are not suitable for pets. Service dogs are welcome. Can I purchase a gift voucher for Dingle Marina Cottages? Yes, you are most welcome to purchase a gift voucher from our reservations team. We recommend that you book as early as possible especially if you are planning your holiday for the busy months of July and August or during peak time events here in Dingle including Dingle Food festival in early October and Dingle Marathon in early September. When making a booking you will be asked for a deposit of €300.00 per week to secure your booking. You will then be asked to pay the remainder of your balance at least one month in advance of arrival. Payment can be made by Credit Card, Bank Transfer or Bank Draft. Any changes to your reservation must be made as early as possible by phone or email. Our cancellation terms are 4-6 weeks in advance of your stay we will fully refund you. If you need to cancel at late notice deposits are non-refundable, but can be used for a booking at another stage.